The first day off of this tour and we found ourselves in the home of golf and I wasn’t about to waste the opportunity. On the face of it, the weather looked pretty miserable but in-depth analysis revealed that North Berwick might see a fair amount of sunshine through the day. I waited with Tellson James our lighting director and fellow golfer in the band hotel lobby for the rental car to eventually appear and we set off in torrential rain along a slow moving M8 motorway towards our destination, Archerfield. We arrived in plenty of time to meet up with my good friend George Freeland and his assembled buddies and golfing pro’s who had very kindly invited us to his members day. We tee’d off in quite substantial rain but it wasn’t long before, as predicted, it cleared to a beautiful crisp afternoon with sunshine a-plenty. We had a great game on a wonderful course. Many thanks George. 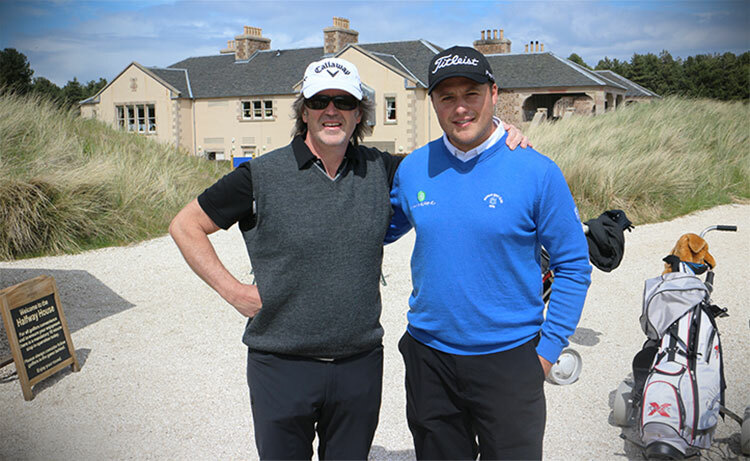 Touring Pro Neil Fenwick (Europro tour) showed us all how it’s done shooting 4 under par in his round. Here we are after a halfway house Haggis pie. At the venue today was the first of the tour meet and greets. John, Mike, Richard and Ruth provided the entertainment and John’s mum and dad were there. Pete snapped this pic of the happy bunch. 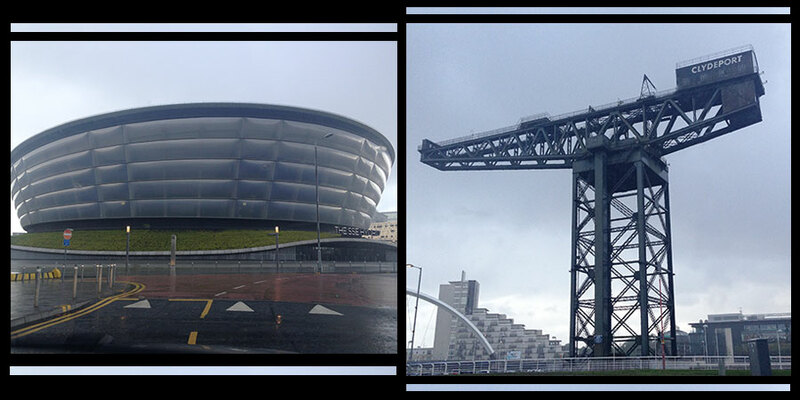 Each time we visit the wonderful city of Glasgow, the Finnieston area seems to evolve and recently the addition of a potentially world class venue has really put the city on the map. From a distance, the Hydro arena certainly looks state of the art and as we drove into the backstage area I wondered how it would fare inside. 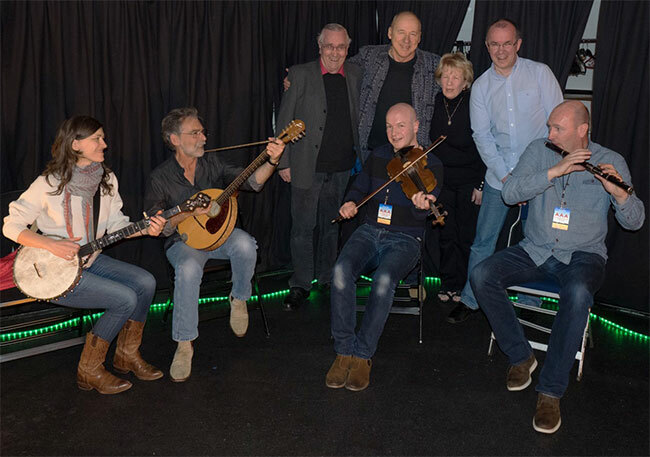 The backstage area seems to have been a bit of an afterthought with quite poorly designed room spaces littered with visible cable trunking and steel beams and the catering zone was experiencing regular electrical issues with fuses tripping periodically. The arena space itself is vast and although the claims that the building has been acoustically designed, clearly the reality is a bit of a let down. As soon as I saw the huge dome above the floor area I knew. There was nothing up there to deal with reverberation. Sure enough, once we started our sound check, it was all too apparent that this place is a bit of an acoustic animal. Dave Dixon did his utmost to contain some spiky bass frequencies but I’m certain that there would be large parts of the audience where sound would be pretty bad. It was here that Eric Clapton walked off stage last year. For the band it was just a case of upping the gain on our in-ear receiver packs to drown out what was coming back from the hall. Mark had the worst of it at the front of the stage but soldiered on throughout. After all, we have experienced worse. As for the show itself, what a fantastic audience. House lights went out, we walked on stage and then house lights came back on again. Talk about a vibe-buster. HOWEVER, Glasgow crowds are always wonderful and tonight was absolutely no exception. The smiles of their faces and the warmth in the applause was truly heartwarming. 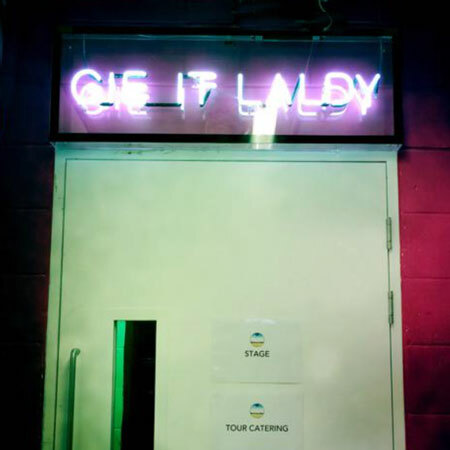 Mark was relaxed and on form, chatting and ad-libbing through the set, even mentioning the ‘Gie it Laldy’ sign in the backstage area. I think we did. The next thing we knew, we were at the security checkpoint at the GA terminal at Glasgow airport, being screened rather thoroughly for our 23 minute flight down to Newcastle. A few drinks and a quick Lasagne on the plane and we were in our hotel rooms probably before the crew had got the back line gear into the trucks. Dave Dixon at the sound desk has already been asked several times about the pre-show playlist so here it is in its entirety..